Christmas decoration is not only about Christmas tree decorations. Add a roll of fishing line with colorful ornaments, a Christmas garland or few ornaments with ribbons at slightly different lengths to your window decoration and make your window look unique and festive. You will need cardboard or heavy craft paper, foam, Christmas garland with lights, glue, scissors. 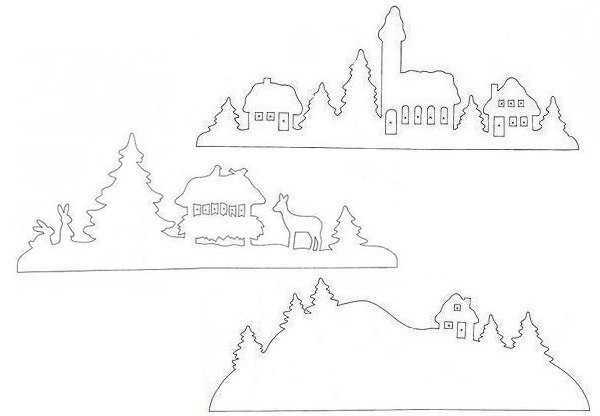 Stencil or draw Christmas trees, winter images or Christmas decoration patterns on a cardboard piece, and cut them out with a craft knife or scissors. 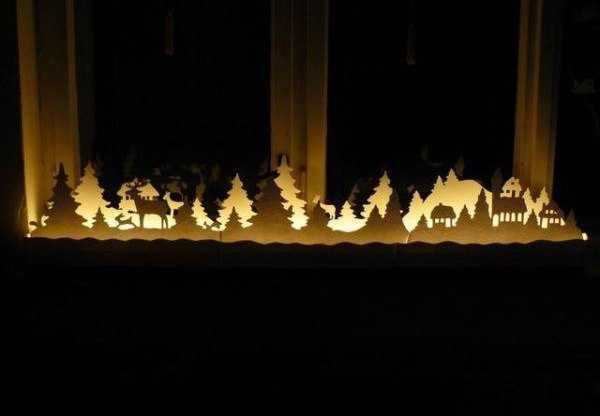 Glue cardboard decorations together to make them long enough for your window sill and arrange them vertically on a piece of foam one behind another. 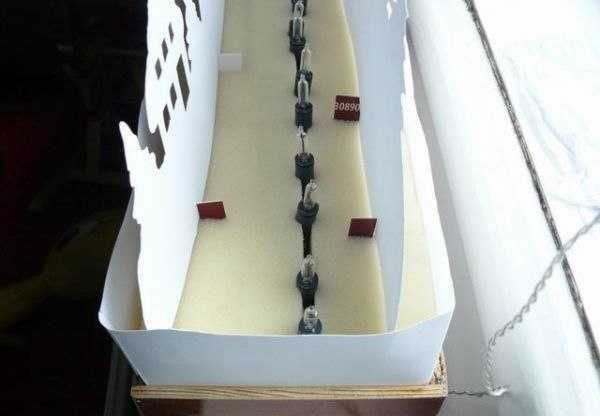 Make two lanes of cardboard window decorations and place Christmas lights on a piece of foam between cardboard decorations, as the photographs show. Simple and elegant window decoration will glow at night and delight with amazing winter themed images. You can make similar window decoration with thin plywood boards, adding a horizontal base for stability.